Aubrey went to her BFF's 7th birthday party on Friday and in the goodie bags was some nail polish and other girly things. Aubrey asked if she could paint her toenails. I told her that we could do it after Austin & Ally were in bed. She asked if she could do it herself while I put Austin to bed. She knows that can take awhile. I said of course and headed to put brother to bed. I came out and we giggled about her stuffing her toes in the toe separator. She asked if she had to keep them in there because it hurts. We definitely didn't need to keep them in there. I looked down at her foot and it was messy but it was perfect. I know she could see me looking and she smiled up at me, so proud. But she did ask if I would paint her other toes. 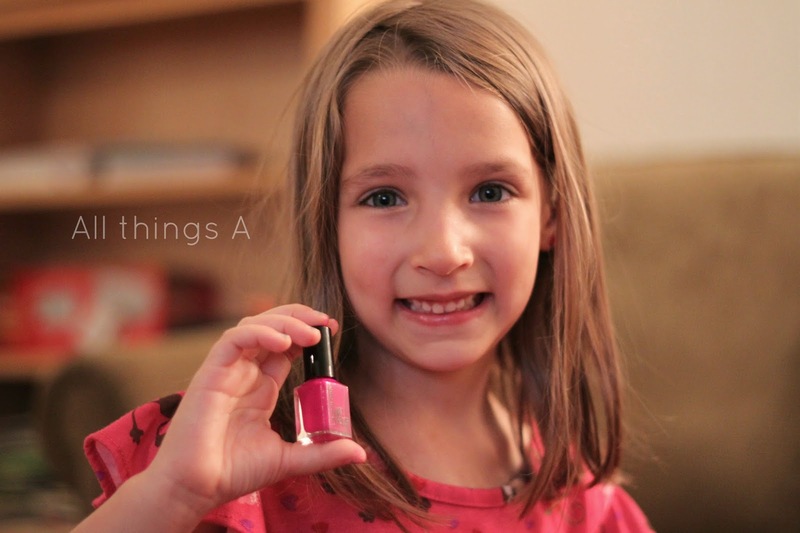 I sat down and put the pink polish on her nails. We talked and giggled and it was different than the other times I had painted her nails. We were having a total girly bonding time. It was so special. 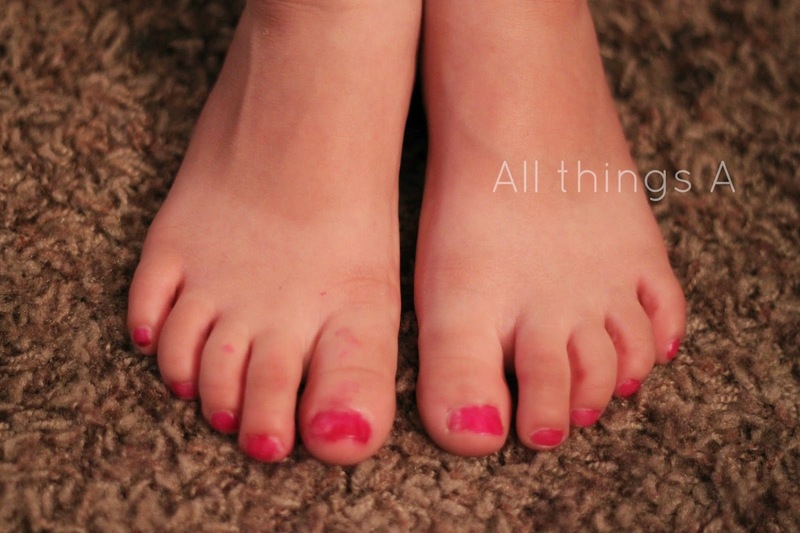 I finished up and she looked down at her feet and smiled and said people are going to know which one Mommy painted. I told her not to worry, we could clean up those smudges. I feel like I end all my posts about my kids about how fast they are growing up but really they are growing up to fast! We just had a total girly bonding moment and I see many more in my future. Oh gosh, how cute! I cannot wait for my daughter to be old enough and we can do nails together! Stopping by from the link up! She is so cute! This is adorable! She actually did a really great job! What a fun & special moment! What a sweet moment. And those little messed up toes totally got me. I love them so much. 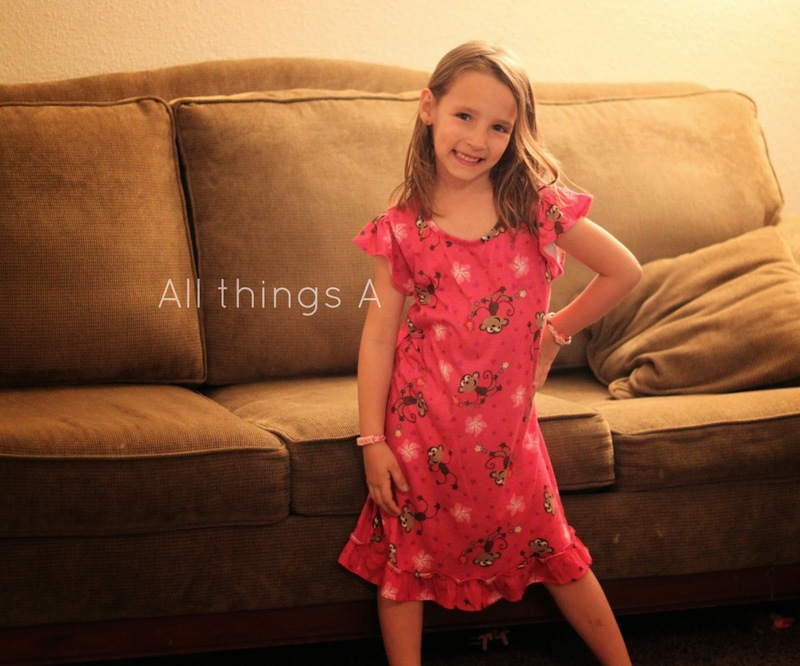 She is growing up and trying things on her own and it is just too precious. This is so sweet! I can't wait for my daughter to be old enough to do things like this...okay I can, but you know :) You're kids are cute! Stopping by from It's the Little Things. Oh man! This is really, really sweet, Heidi!! I must be hormonal or something because this post has me all teared up! She is so big. Pretty color. 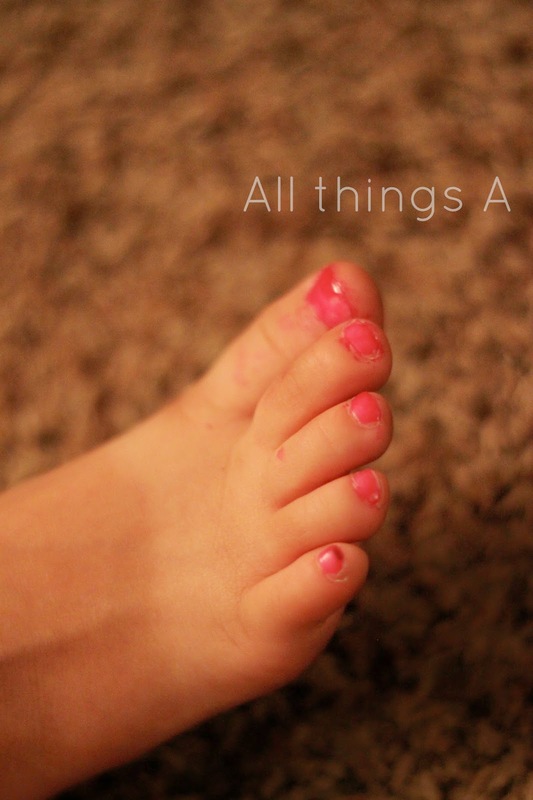 My daughter hates me painting her nails, but she has pink toenails too right now. Stopping by from Saturday sharefest.